Every so often, for the last 7 years, our informal group, the Clenet Cluster, gets together with or without our cars for a weekend of fun. 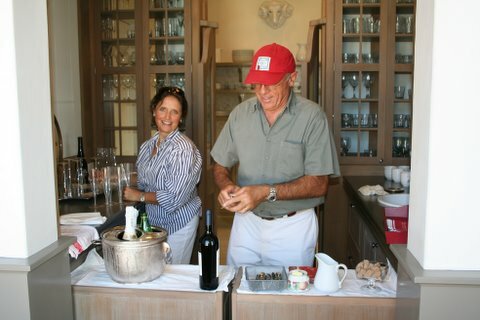 In September we met at Alain and Kathy Clenet's ranch, Long Meadow Farm, to celebrate their newly constructed "French Country" styled home and the 30 Year Anniversary of the founding of Clenet Coachworks. 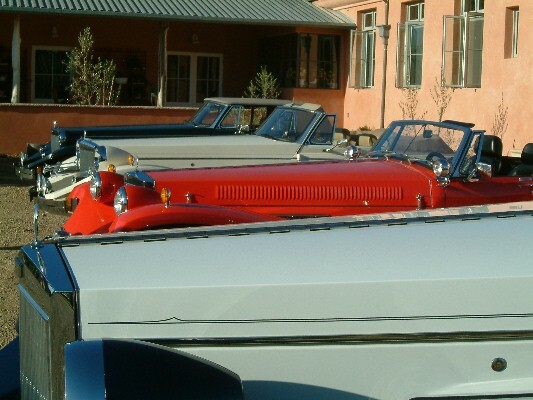 Some of the cars out front of Alain and Kathy's new house. Some of the Clenet Cluster dancing just after the Auction. Star of the show had to be the Clenet's own Series I brought to the party by Alain's sons Kelly and Damien. 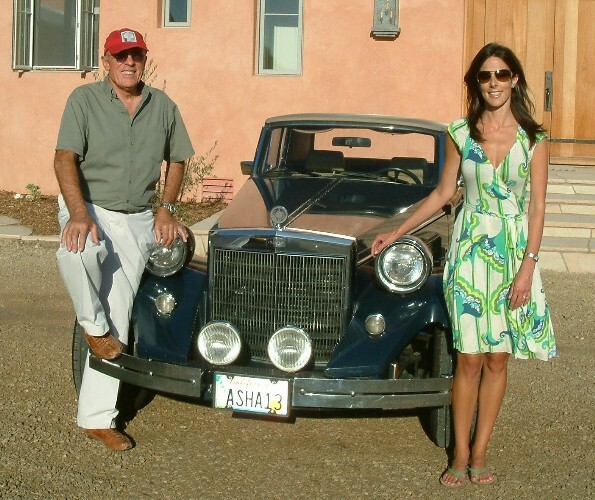 Here we have Alain and daughter Asha with a namesake Series III, Asha. Asha has her own swim wear company, ASHACouture. 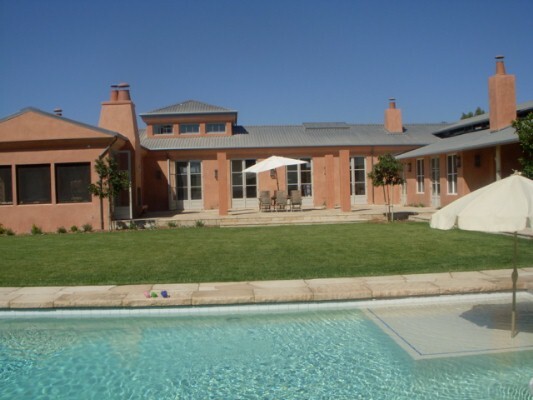 Long Meadow Farm is located just north of Santa Barbara in Santa Inez. 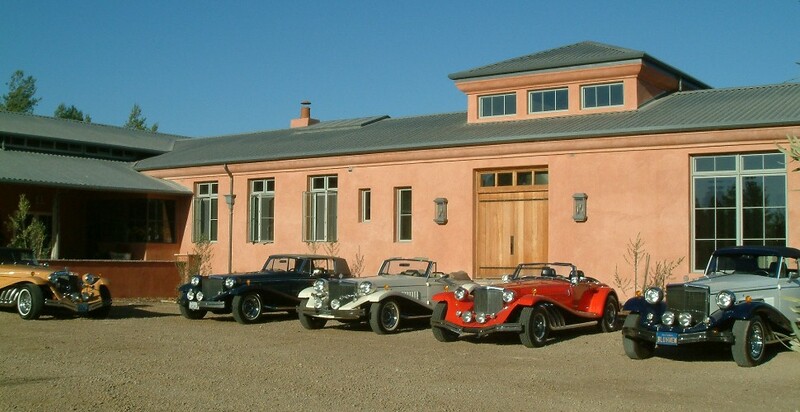 Recently the Clenets have constructed a beautiful 8500 sq ft "French Country" styled ranch house, so we had an excellent reason to celebrate the 30 Year Anniversary of Clenet Coachworks as a combination house warming party. Guests began arriving at 10:00am and everyone received a 2 DVD set with clips of Clenet appearances in films, news programs, parades (etc.) including digitized videos of previous Cluster gatherings. The total amount of material runs for about 4 hours. Additionally, many photographs of the day's activities were taken. They have been collected and made into slide-show 'movies' which are offered below as steaming video downloads. The next day there were many Clenets out Front in the court yard. The day's planned activities included a sit down lunch at a local restaurant and an auction of Clenet parts, memorabilia, car related items (etc). In this 'movie" we see People at the Party. At this link, we have Lunch in Town. After lunch we took a bunch of posed Group Shots . 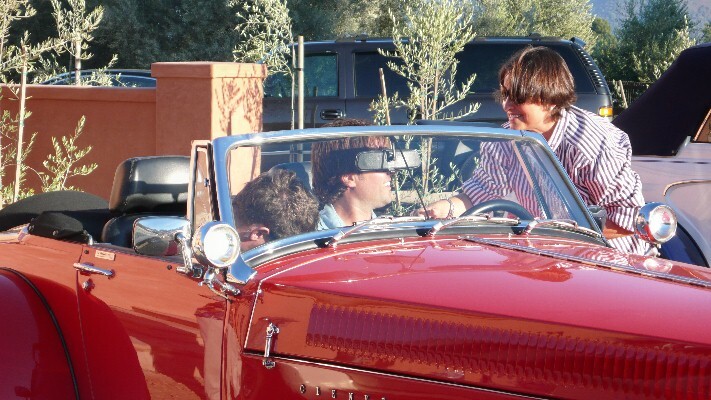 Much attention was given to the red Clenet's Series I seen here with Kathy talking to Alain's sons Kelly and Damien. Social activities lasted well into the evening but then there were the inevitable Next Day Departures. As mentioned previously, there were some Mishaps. 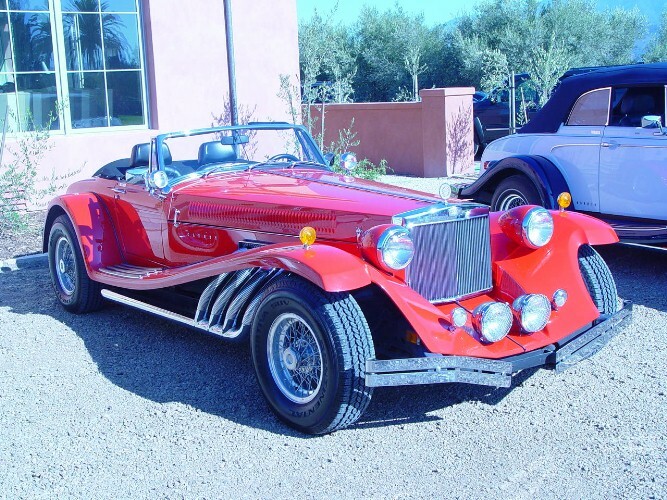 An extremely import issue with older low-mileage cars is that the tires (which may look perfect) do have a natural life span. 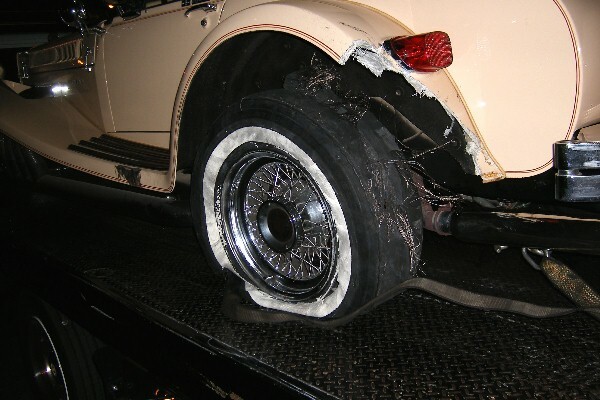 A number of us have previously experienced blowouts with our "brand new, 25 year-old tires" where the radial tread separates from the tire at speed. Look what happened to Wayne and Fabienne in their Series I #216 (one of the famous Wrigley twins). 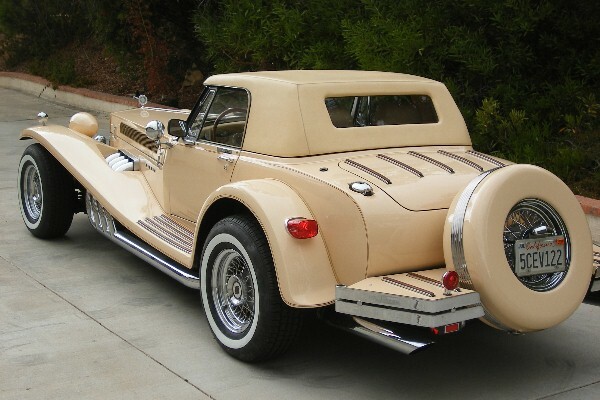 Luckily, no one was hurt, and 3 weeks later "the younger twin" was good as new, pin-striping and all.